Hacktivist group Anonymous has called out Saudi Arabia for its horrific human rights record by attacking the Gulf kingdom’s government websites. The attack is in response to the upholding of a death sentence handed down to 17-year-old Mohammed al-Nimr. Earlier in September, Nimr’s final appeal to the Saudi courts was dismissed, and his sentence of death by crucifixion for alleged anti-government activities in 2012 can now be carried out at any moment. Some of the websites that appear to have been knocked offline included those of the Ministry of Justice (www.saudinf.com), the Ministry of Civil Service (www.mcs.gov.sa), the General Administration of Education (tabukedu.gov.sa), PSATRI, Saudi Arabia’s technological center for its military and security sectors (psatri.ksu.edu.sa); and even Saudi Airlines (saudiairlines.com). Currently, most of the sites are back up except for the Ministry of Justice’s. A full list of targeted websites has been published on Paste bin. “Hundreds of innocent people die each year because of the Saudi Arabian government and they will now be punished for their actions,” the group’s statement said. The hacktivists also criticized the UK for not standing up for Nimr and not doing more to pressure Riyadh. They also attacked the UN for delegating Saudi Arabia a key “human rights role” despite the country’s questionable record. 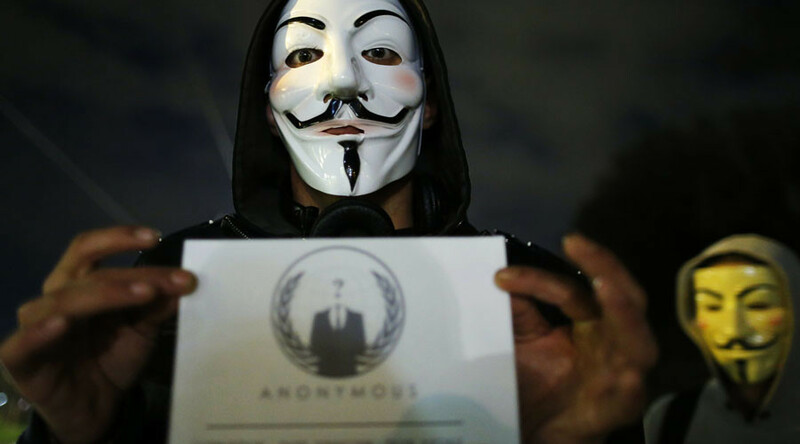 Anonymous spoke directly to King Salman and the Saudi Arabian government in one of their video messages. Nimr was arrested in 2012, reportedly after participating in a protest. He was found guilty of joining a criminal group and attacking police officers. Other charges against him included using a BlackBerry device to encourage others to come out and join the protest. The UN has called the trial “short of international standards” and asked Saudi Arabia to halt the execution. Human rights groups including Amnesty International have alleged that Nirm was tortured and forced to confess to some of the charges. The sentence of crucifixion likely means that Nimr is set to be beheaded before his body is displayed on a cross in a public place. Reports indicate that Nimr did attend a demonstration, but was not an activist. Other sources have said that the sentence of crucifixion is likely political “revenge” because Nimr is a nephew of Shia cleric and activist Sheikh Nimr Baqr al-Nimr, who is also facing execution. The cleric has been sentenced to death on charges of terrorism for “waging war on God” because he gave a speech at anti-government protests in Qatif, Amnesty International reported.